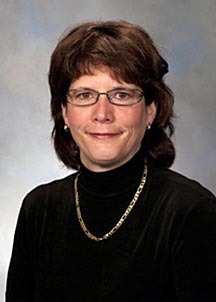 Tina Morgan Ross is a chemist and inventor with a large number of patents and publications to her name. Her work involves the design of drug candidates to improve the quality of life for people. Here she talks about her experience as a problem solver with IdeaConnection and her take on the crowdsourcing approach to science. What is it that appeals to you about the field? Well I find it fascinating, the intellectual challenge of the chemistry. I love actually taking something that may be toxic and working with it, with your chemistry and your knowledge, and you can create a wonderful medicine that could really benefit somebody's quality of life and I really, really enjoy that. Why did you get involved with IdeaConnection? I was getting a little bored with work so I wanted to have a little bit of intellectual stimulation with peers. So I went ahead and joined and it was really rewarding, I really enjoyed it. What is it that you enjoy about the experience? I like the serendipity of having a new team. I like having a constrained timeline where you have a problem and have to work on it together to meet the challenge. Also, I have a background in pharmaceuticals so I wanted to learn more about plants and the environment. I have not been associated with that field for quite a while and I've always had an interest in it. So it was a way to be re-introduced to what's going on in the field and it was really rewarding. How did you set about solving the challenge? We met for an introductory session, and then we decided to ask the seeker for a little more information, a clarification, and that was extremely useful. Then we decided to get serious about the task at hand. It was quite a big challenge. So we started to meet on a more regular basis every two weeks and then as it got closer to the deadline, every week. That worked really well as the meetings were short, intensely focused and not dragged out. It was such a broad topic; we were trying to zone in on a specific solution area and so the seeker really provided that information for us. And then it basically came down to whoever had the expertise in that area and then we just decided what to do, did a rough draft and divvied up the work. So that was when people had to actually walk the talk. That's a big part, when you're in a team environment you really have to deliver the goods in a timely manner. In this challenge, as well as imparting your own knowledge and ideas did you learn something that could benefit you, perhaps personally or professionally? Oh absolutely. It was great. I really enjoyed meeting the other scientists and they had some really good points of view. I liked the timeline because you really had to just talk about the science. So it kind of stripped us back down to like pure science when you looked at the data, you made a determination, and then you communicated your best take on it. I think it is always a challenge as a scientist who's very specialized, and I am very specialized. So you really have to communicate. There was a cute moment where a speaker was using an acronym and I thought it meant one thing, because that's what we always use in my field of expertise, and one of the biologists was like, "No, no, this is what it means." I was like, "You're kidding." She said, "No, it's this." I was like, "Oh my goodness." So, sometimes the more you know the more realize you don't know. What's your view of the crowdsourcing approach to science as an add-on to peered reviewed research that you might conduct in a university or with a private institution? I really liked it because I felt that as far as innovation and creativity are concerned you are totally focused on the solution; you have no political affiliation, "Okay, I'm here, let's see what we can do," and it's science in an honest form. You're honestly giving them your scientific expertise and your intellectual property. The nice thing is you don't have to enable it, you just tell them, "Hey, I love this idea. This is great. I have this backing it up, this idea. What do you think about it?" Then you get feedback. Maybe they've tried it already and it's not going to work for them. Maybe they never thought of it. In this case they really like it.